1 How can inconveniencing your audience increase your persuasiveness? Colleen Szot is one of the most successful writers in the paid programming industry. And for good reason: In addition to penning several well-known “infomercials” for the famed and fast-selling NordicTrac exercise machine, she recently authored a program that shattered a nearly twenty-year sales record for a home-shopping channel. Although her programs retain many of the elements common to most infomercials, including flashy catchphrases, an unrealistically enthusiastic audience, and celebrity endorsements, Szot changed three words to a standard infomercial line that caused a huge increase in the number of people who purchased her product. Even more remarkable, these three words made it clear to potential customers that the process of ordering the product might well prove somewhat of a hassle. What were those three words, and how did they cause sales to skyrocket? Szot changed the all-too-familiar call-to-action line, “Operators are waiting, please call now,” to, “If operators are busy, please call again.” On the face of it, the change appears foolhardy. After all, the message seems to convey that potential customers might have to waste their time dialing and redialing the toll-free number until they finally reach a sales representative. Yet, that surface view underestimates the power of the principle of social proof: When people are uncertain about a course of action, they tend to look outside themselves and to other people around them to guide their decisions and actions. In the Colleen Szot example, consider the kind of mental image likely to be generated when you hear “operators are waiting”: scores of bored phone representatives filing their nails, clipping their coupons, or twiddling their thumbs while they wait by their silent telephones—an image indicative of low demand and poor sales. Although there’s little doubt that other people’s behavior is a powerful source of social influence, when we ask people in our own studies whether other people’s behavior influences their own, they are absolutely insistent that it does not. But social psychologists know better. We know that people’s ability to understand the factors that affect their behavior is surprisingly poor.3 Perhaps this is one reason that the people in the business of creating those little cards encouraging hotel guests to reuse their towels didn’t think to use the principle of social proof to their advantage. In asking themselves, “What would motivate me?” they might well have discounted the very real influence that others would have on their behavior. As a result, they focused all their attention on how the towel reuse program would be relevant to saving the environment, a motivator that seemed, at least on the surface of it, to be most relevant to the desired behavior. In our hotel experiment, we considered the finding that the majority of hotel guests who encounter the towel reuse signs do actually recycle their towels at least some time during their stay. What if we simply informed guests of this fact? Would it have any influence on their participation in the conservation program relative to the participation rates that a basic environmental appeal yields? With the cooperation of a hotel manager, two of us and another colleague created two signs and placed them in hotel rooms. One was designed to reflect the type of basic environmental-protection message adopted throughout much of the hotel industry. It asked the guests to help save the environment and to show their respect for nature by participating in the program. A second sign used the social proof information by informing guests that the majority of guests at the hotel recycled their towels at least once during the course of their stay. These signs were randomly assigned to the rooms in the hotel. Now, typically, experimental social psychologists are fortunate enough to have a team of eager undergraduate research assistants to help collect the data. But, as you might imagine, neither our research assistants nor the guests would have been very pleased with the research assistants’ sneaking into hotel bathrooms to collect our data, nor would our university’s ethics board (nor our mothers, for that matter). Fortunately, the hotel’s room attendants were kind enough to volunteer to collect the data for us. On the first day on which a particular guest’s room was serviced, they simply recorded whether the guest chose to reuse at least one towel. Guests who learned that the majority of other guests had reused their towels (the social proof appeal), which was a message that we’ve never seen employed by even a single hotel, were 26 percent more likely than those who saw the basic environmental protection message to recycle their towels.4 That’s a 26 percent increase in participation relative to the industry standard, which we achieved simply by changing a few words on the sign to convey what others were doing. Not a bad improvement for a factor that people say has no influence on them at all. Noah Goldstein is a protege of Cialdini's. He is an assistant professor at the University of Chicago Graduate School of Business. He earned a Ph.D. in psychology under Robert Cialdini at Arizona State University in 2007, and he has published research with Cialdini in the Journal of Personality and Social Psychology. Steve Martin is the UK-based co-director of Influence at Work. 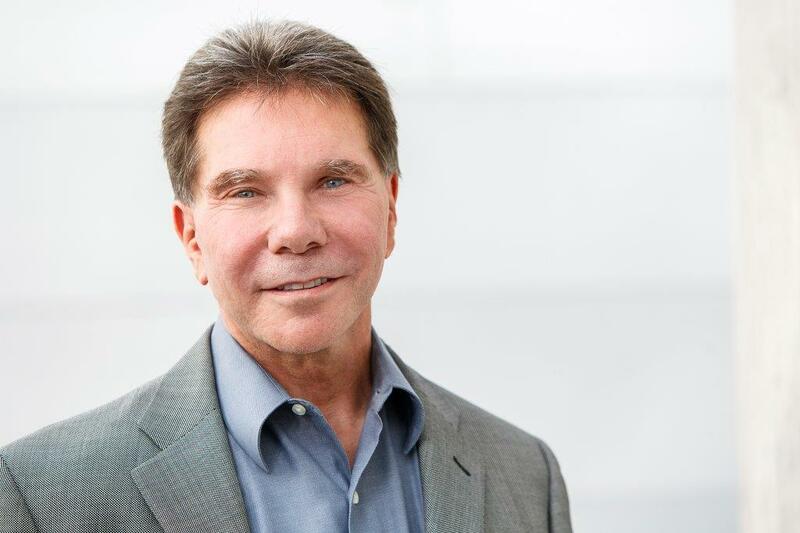 Prior to joining with Robert Cialdini's consulting group, he held a number of positions in sales, marketing, and management at several blue-chip companies. Robert Cialdini is recognized worldwide for his inspired field research on the psychology of influence. He is a New York Times bestselling author. His books, including Influence, have sold more than three million copies in thirty-three languages. Dr. Cialdini is Regents’ Professor Emeritus of Psychology and Marketing at Arizona State University and the president and CEO of Influence at Work, an international company that provides keynotes and influence training on how to use the lessons in Dr. Cialdini’s books ethically and effectively. 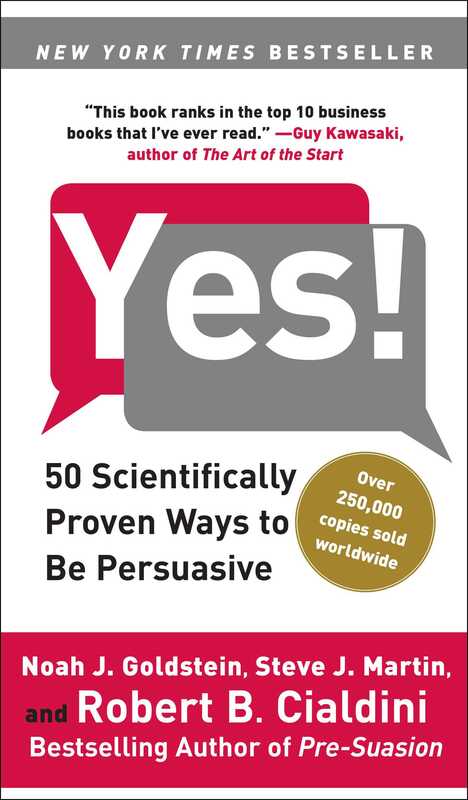 Book Cover Image (jpg): Yes!